My husband is a now Big Chief Meat Snacks Inc. fan. 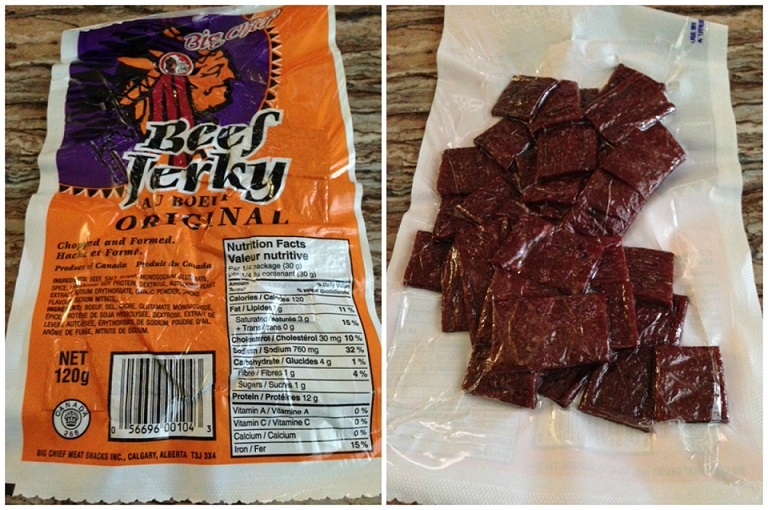 He love eating some for a snack after a workout so he was so very happy when I received some in the mail to review. I only tried a few . At Big Chief Meat Snacks Inc. our vision is to become the number one brand of convenient, ready-to-eat meat snacks in Canada. We will achieve our vision by providing consumers with high quality, nutritional meat snacks and promoting the importance of a protein balanced diet. We are committed to adhering to the highest quality standards in all of our manufacturing and quality assurance practices, as well as providing a safe and healthy work environment for our employees. We are dedicated to complete customer satisfaction by providing our quality meat snacks in various convenient locations and in a variety of popular flavors. In addition, we place a high value on corporate social responsibility, actively participating in the community, supporting local organizations and charities. We are a family owned and operated business in Calgary, Alberta that is very proud to be Canadian and support our fellow Canadians through employment, sponsorship, and businesses relationships. We also understand the importance of being environmentally conscious and have adopted sustainable practices wherever we are able. Through our devotion to quality, safety, variety, convenience, community, and environment, Big Chief Meat Snacks Inc. will continue to grow and be a positively recognized brand throughout Canada. Even my dog liked them very much. One night my husband put some in a baggie in his gym back to take with him on the next day. I guess he didn't zip up the compartment properly but an hour later I found my dog had the ziplock bag and had eaten all of the Big Chief Meat Snacks Inc. my husband had in there . My husband and I loved them too. They are so yummy and I loved that these were not overly chewy. 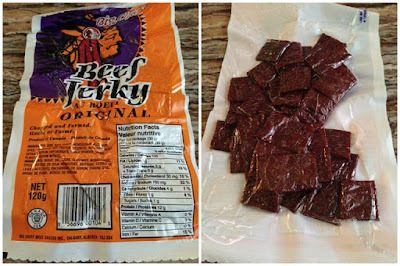 I had found other brands' jerky I need to chew so much that my jaw hurts. 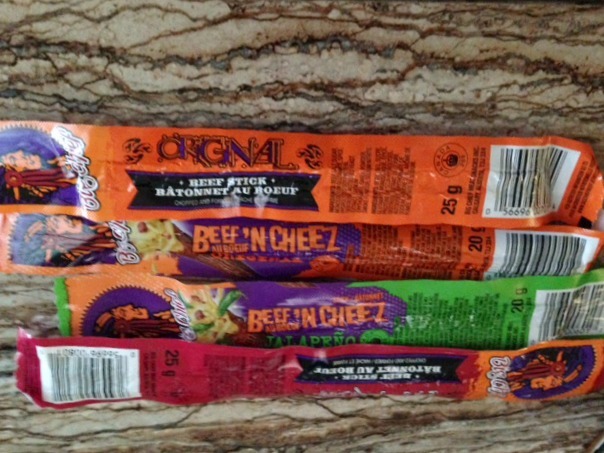 Each of the Big Chief Meat Snacks comes in single serve vacuum sealed packages which keeps the snacks fresh. 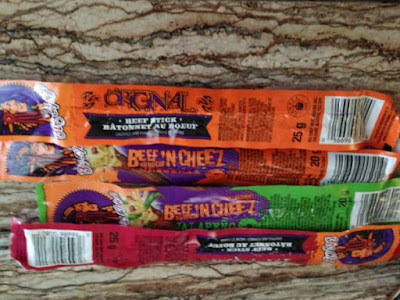 Beef sticks (Original, Beef 'n cheese, Beef 'n cheese jalapeno, teriyaki). My favourites were the beef 'n cheese ones. Beef'N Cheese Jalapeno and Hot beef stick. 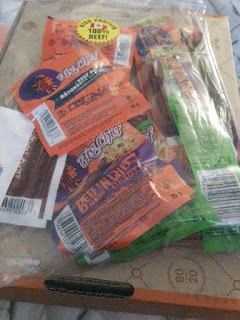 If you are interested in purchasing some of Big Chief Meat Snacks just go to their products page. I highly recommend Big Chief Meat Snacks.